"Dressing an athlete is like dressing a model, they all have their particular version of the perfect body." 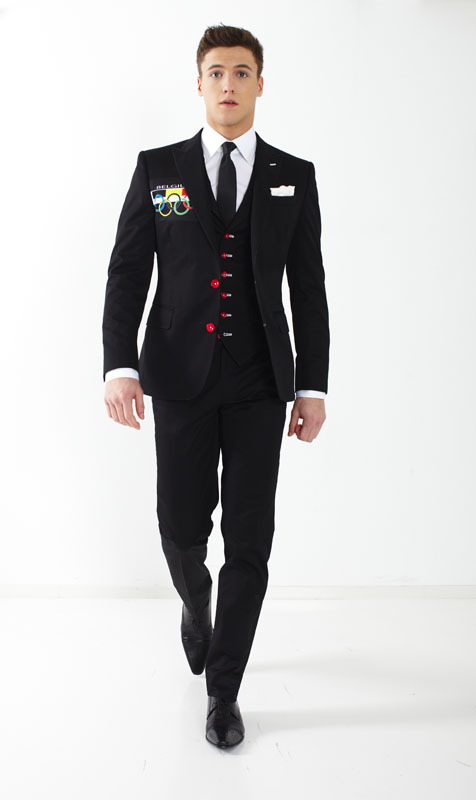 Stijn Helsen is a couturier with Olympic allure. 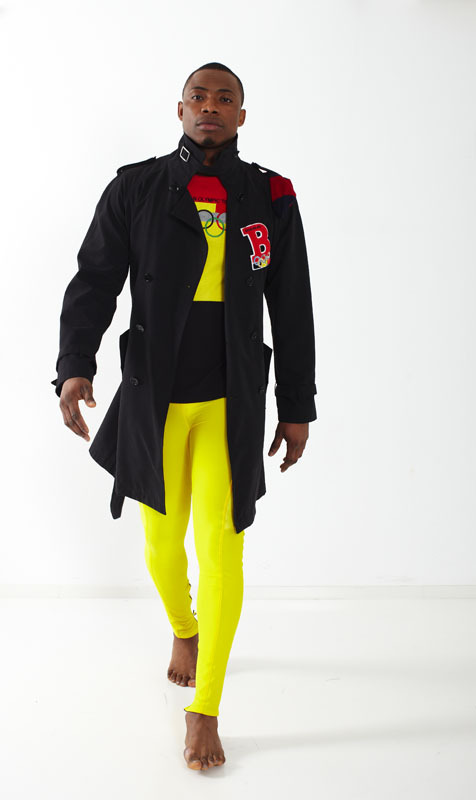 Not only in a figure of speech way but as the designer of the exquisite collection for the Belgian athletes during the last Olympic summer games that took part in London. For his Olympic line, Stijn Helsen extensively used the Belgian tricolore flag as a catalyst for his expressive, vivid trademark designs which made the Belgian athletes shine like never before. 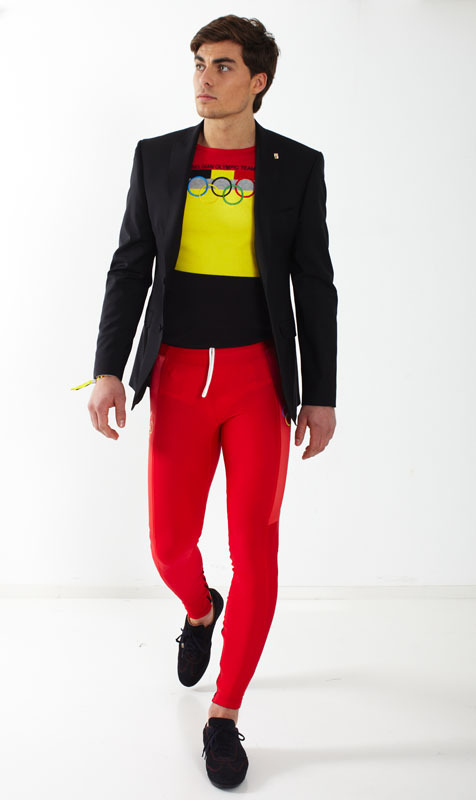 For Stijn Helsen, dressing the Belgian athletes for the Olympic Games in London was an amazing project. Being able to dress these people that each and every day are committed to their sport gave him a strong sense of togetherness because as a designer, Stijn Helsen also thrives on his passion each and every day: (fashion) design. 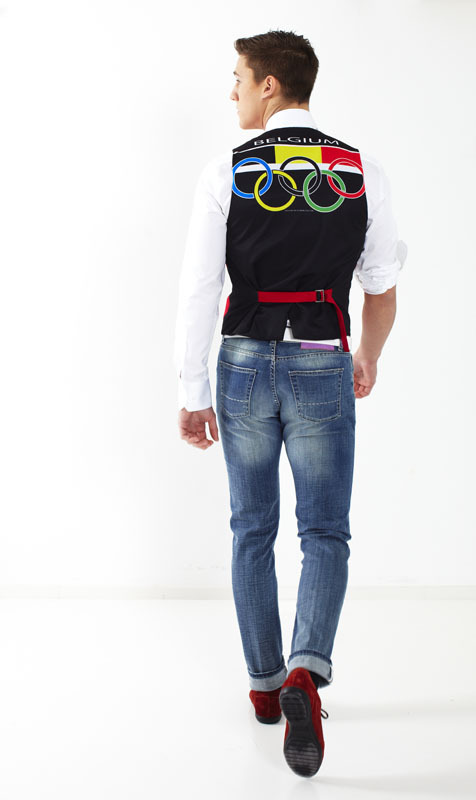 It was a quite hectic period: safeguarding the excellence of the 'SH' brand with more than 350 fittings (for the Olympics in London, 350 persons got dressed by Stijn Helsen) can be a daunting task. 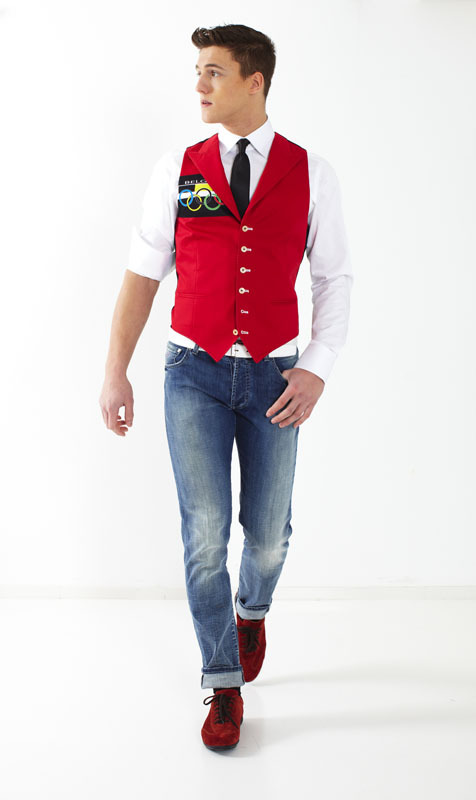 But as a fashion designer, passion for perfect designs always pushed Stijn Helsen further, to Olympic heights so to say. "The main goal for the Olympics collection was that it would stand out in a refined way with fabrics that felt and looked great, expressive details such as embroidered Olympic rings and prominent tricolore striping. From the feedback we've got it was a 'mission accomplished'. We wouldn't have settled for less." 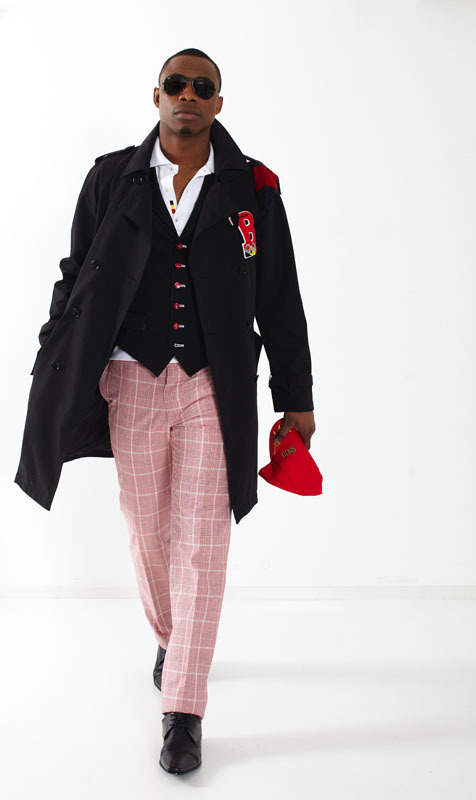 Elegant ensembles, flashy sweaters, jackets in comfortable high-tech fabrics, suits and dresses made to measure with trademark 'SH' details such as buoyant colored linings and sporty, tricolore striped patterns: Stijn Helsen's Olympic line was true eye candy, in every sense of the way. 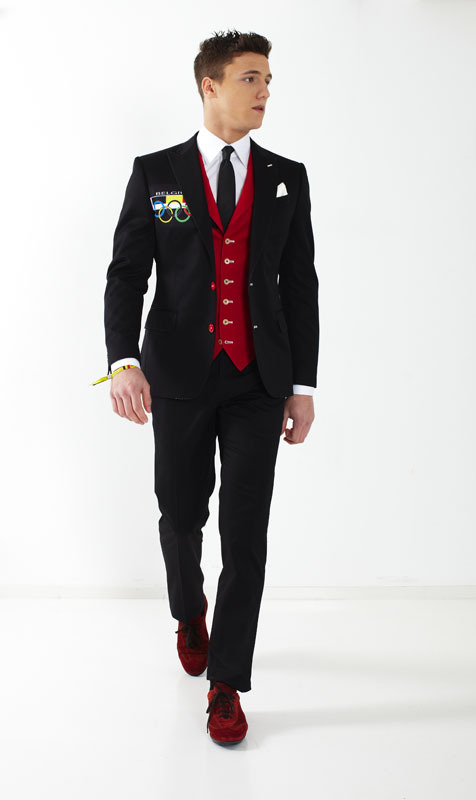 For the Olympic line he went for a 'Savile Row' atmosphere ('Savile Row', the Mayfair quarter in London being known as the place with the world's most renown tailors) mixed with a preppy edge to it and accents such as embroidered rings and signs in chenille. 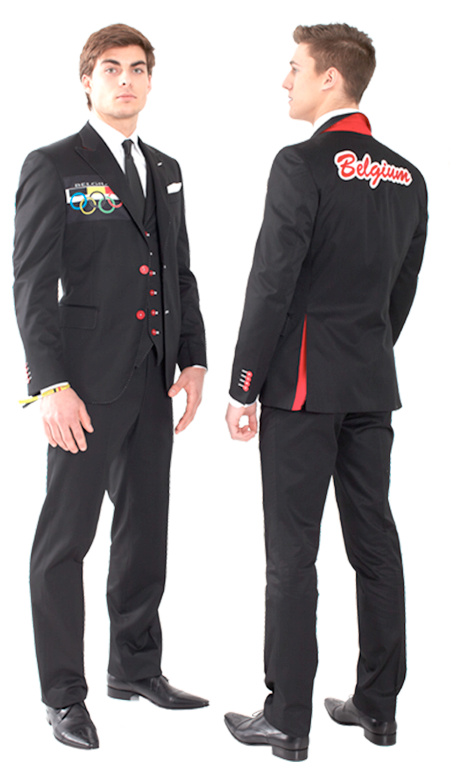 Combined with the typical Stijn Helsen colors such as intensive red under the collar, in the splits of the jackets and on the buttons, the Belgian athletes simply looked stunning. 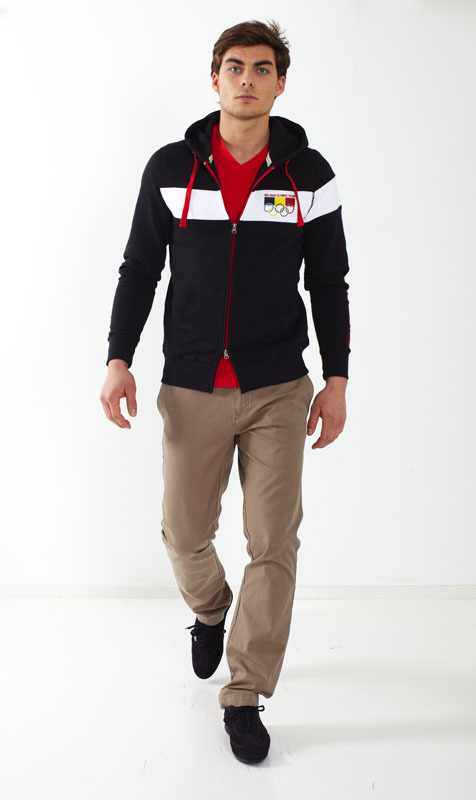 Moreover, the collection succeeded in finding the perfect equilibrium between the Olympic atmosphere and the 'SH' brand identity.